California’s newly elected governor; Gavin Newsom (D) has recently made a legislative step to address skyrocketing drug prices. 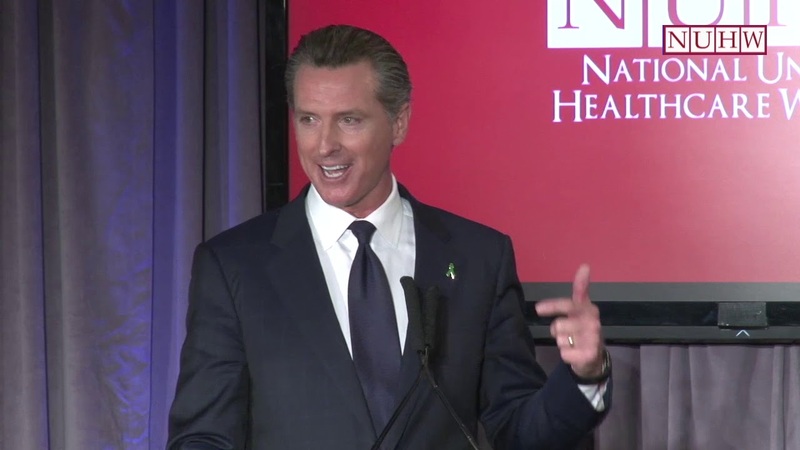 Shortly after he was sworn in last week, Newsom signed an executive order making the state responsible for negotiating drug prices directly with pharmaceutical companies. In addition, the governor is seeking increased funding for Medi-Cal and a state-level individual mandate. The order lays out a singular purchasing model which aims to achieve better drug pricing for the state’s Medicaid program. Newsom is attempting to leverage the purchasing power that comes with a Medicaid population of over 13 million and growing. Additionally, there is little doubt that implementing the order will have ramifications with California’s relationship with big pharma. Under the order, California will form a list of drugs to be purchased in bulk as well as target certain medications for negotiation. It would also enable private payers to participate in the public system and negotiate prices. Supporters of the effort view it as an opportunity to not only reduce costs locally but also at the federal level. Jack Hoadley, a researcher at Georgetown University’s Health Policy Institute, believes that the order could encourage the use of expensive pharmaceuticals and make them more common. Friso van Reesema specializes in Medicaid pharma at Cipher Health and sees Newsom’s order as an “interesting move that shows that states are diving deeper into their budgets to identify ways to allocate funds to priority programs.” Reesema believes that pharmaceutical companies will have to adhere to the state’s new purchasing model, thus enabling payers to negotiate drug pricing based on health outcomes as opposed to models that are based purely on volume. However, some specialists are concerned about the fact that managed care plans will no longer have complete control over their formularies. This could result in denied prescriptions and could significantly impact patient and provider satisfaction.